Thursday was oddly eventful. We picked up my car. It only ended up costing $21, which included a new catalytic converter and inspection. My former boss called, they want me to come in for one day of work again this Monday. They're not the ones paying me, the vendor of the product that I have to repair is. 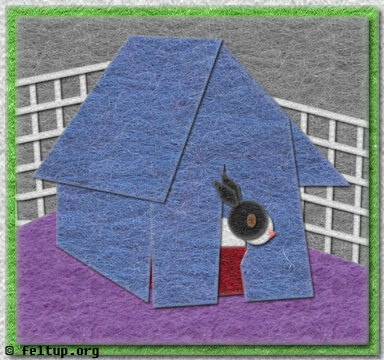 But the best event was the new fabric hut I made to go over Mookie's litter box.